We are now in the season of Advent, the four weeks leading up to the celebration of Christmas. While many of us will be busy buying gifts, planning Christmas parties and seeking that prime parking space at the mall, we need to remember the real reason for the season. Advent is a time of preparation during which we direct our hearts and minds to our Lord’s birth while also awaiting with joyful anticipation His second coming at the end of time. Within this sacred season, we often hear the word “rejoice,” and one Sunday in Advent is known as Gaudete Sunday—Gaudete means “Rejoice!” Why do we rejoice? Because the Lord is near! Because rejoicing in the Lord must be our strength. Amid the many distractions in these next few weeks, it is important that we focus and prepare personally, as families, and as faith communities. We need to worship, to reflect, and to act charitably, so that when Christmas morning arrives, we are ready to welcome our Lord with joy into our homes, our hearts and every aspect of our lives. I pray that you and your family take part in this spiritual journey, leading to the coming of our Savior on Christmas morning. And I pray that you would be inspired by the Lord who desires to be in our hearts and minds now, and forever. Blessed Advent to all. Preparing for Christ on Christmas means devoting yourself to daily prayer throughout the Advent season. 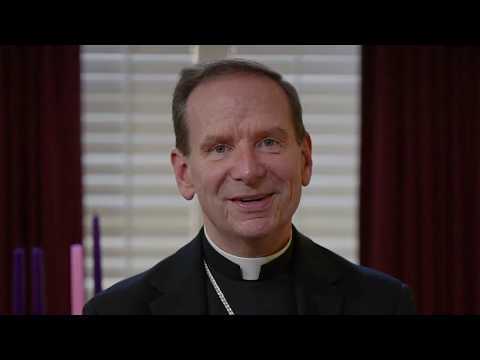 Begin each day with a short reflection by Bishop Burbidge, which can serve as a springboard for your own time of prayer and meditation on Sacred Scripture. Come, Lord Jesus!